Random acts of kindness have been occurring long before we had a name for it. The concept itself seemed to go through a revitalization after the popular 2000 film “Pay It Forward.” The world finally had a catchy new name and renewed sense of community. I’m sure you’ve heard of the Starbucks PIF (Pay It Forward) chain, where the person before you pays for your order and then, in turn, you pay for the next person’s order. There are a number of ways to start a pay it forward chain, you just need to get creative. 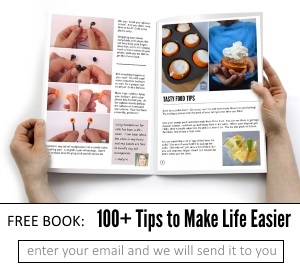 We wanted to get you started with a list of heartwarming and inspirational ideas. I picked up my mom from work one day and came upon a stalled vehicle. There were two gentlemen pushing the vehicle. One of the men stood out a bit. After they pulled the vehicle off to the side road, we watched that man return to his family and shopping cart. They were homeless. We pulled over to make sure we gave them what we had, so they could grab a bite to eat. We made it a point to let them know that they made a difference in our lives. They showed us what the true meaning of giving was. It wasn’t about money, it was about being genuinely kind to someone else, without asking anything in return. Keep in mind that not all PIF chains are intentional. One act of kindness can spark a fire of giving. Sometimes you not only inspire the recipient of the act, but also someone else who happens to witness the exchange. Volunteer to help your child’s teacher. Imagine that they can now go home a little earlier, spend an extra hour being a parent! Their child goes to school the next day happier, passing out smiles with every step. How many people do you think they can reach? Be a coupon fairy. 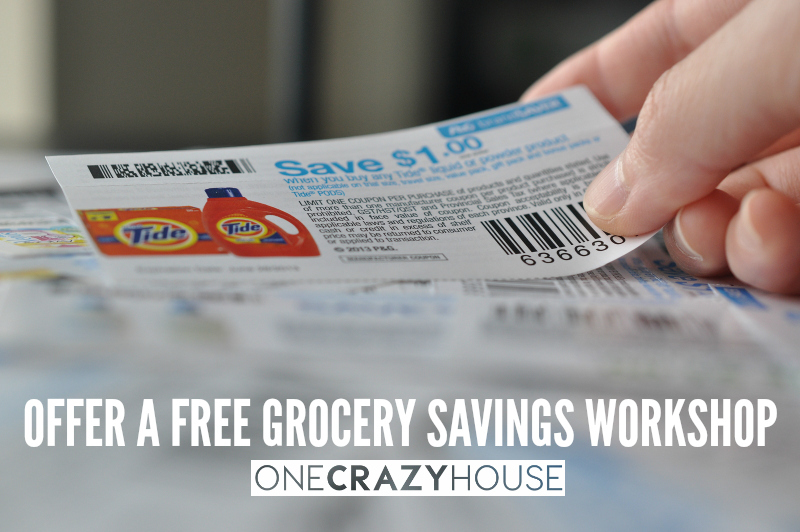 If you’re a savvy saver, maybe you can share the savings by leaving coupons for items that you won’t use. Better yet, offer a free class at the local library to teach others how to reduce their grocery bill. Randomly leave uplifting quotes and notes in envelopes at the park. You can tie them neatly on the branches or park benches, and mark them “Just for You.” Add a little “P.S.” asking them to Pay It Forward no matter how big or small. You never know whose heart you will touch and how they will follow through. Volunteer at the hospital, homeless shelter or an animal rescue center. Your presence is a present. Think about that for a moment. You may never get to witness the impact that your time will have, but it doesn’t change the fact that it will. Perhaps, you hold that one baby in the NICU, that needed a little more human touch to thrive. Maybe you spend time talking to that one person in the shelter who felt invisible. The effects of your presence is IMMEASURABLE. Be the change and invest your time in the future. Honestly, this may be the ultimate way to start a pay it forward chain. Sometimes we don’t realize what’s going on in other children’s lives. 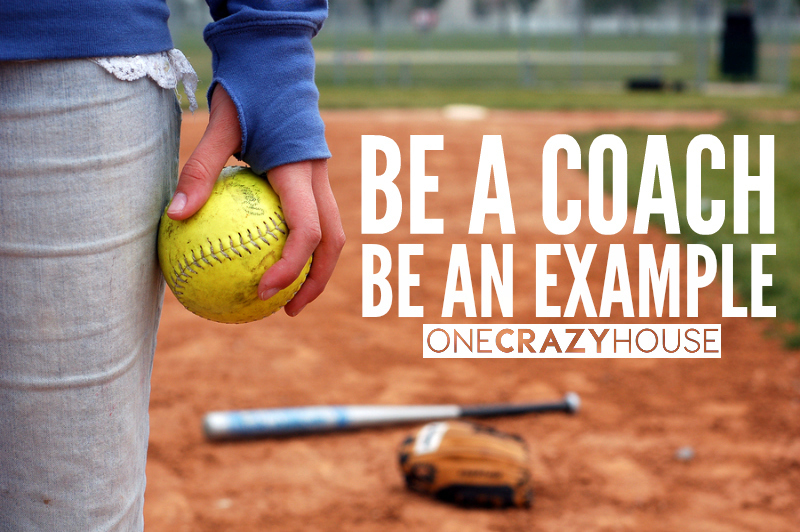 Being a coach goes beyond the sport itself. It’s about being a mentor, an example. 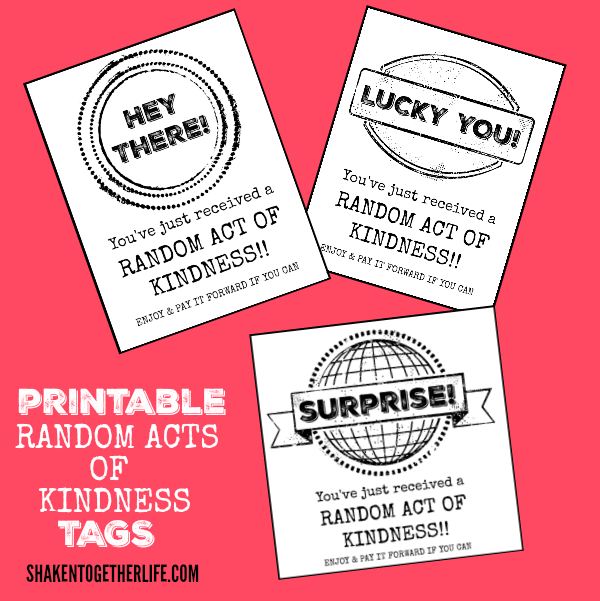 Shaken Together Life designed these free printable Random Acts of Kindness Tags. You can attach these tags to bags of candy, gift cards, or anything that you think will bring a smile to someone’s face. Do you have a favorite ice cream shop? Talk to the manager and see if you can purchase a gift card to pay for the next few guests. The last time we did this, the owner matched our gift card amount! 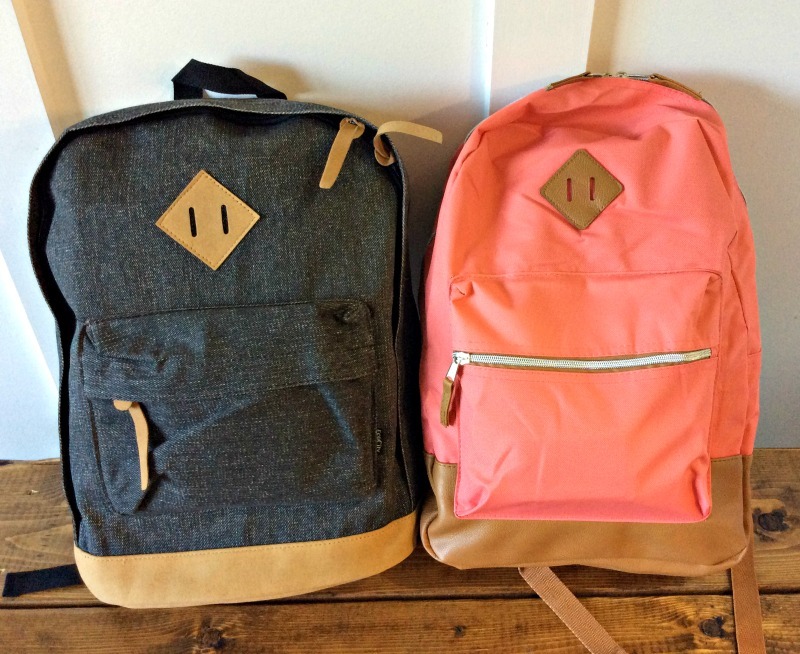 Just2Sisters featured The Giving Back Backpack Project, an amazing way to start a pay it forward chain with your family. Because this project can get expensive real quick, set a budget ahead of time. Here’s another idea that is budget-friendly and easy to put together. 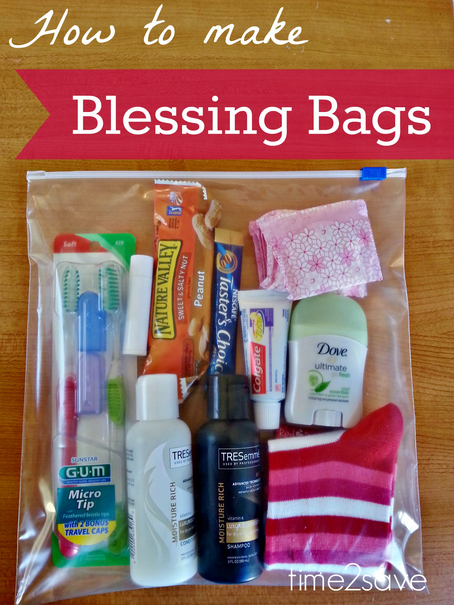 Create “blessing bags” to give to homeless people you may come across during your daily commute. 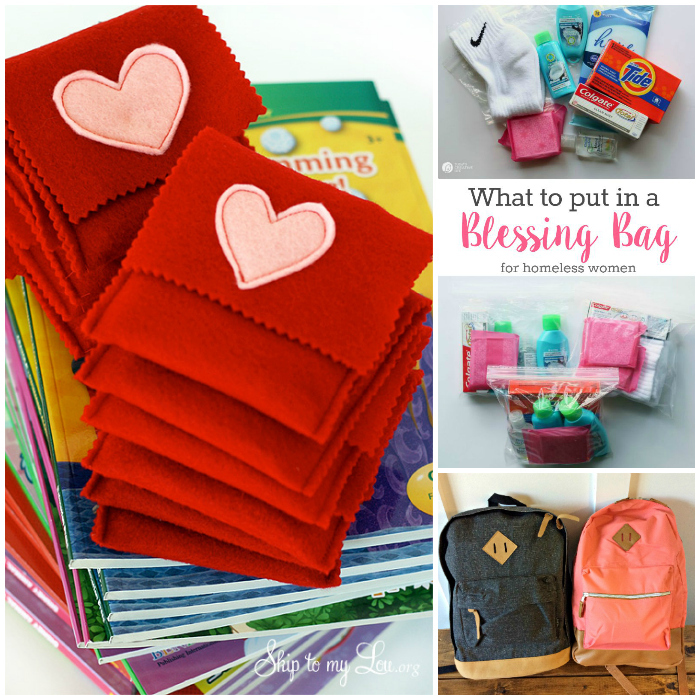 This “blessing bag” shared on Today’s Creative Life, is specifically made for women. Children can be so creative, so it’s important that we listen to their ideas on ways to start a Pay it Forward chain. This little sweetheart felt bad for all the people who had to work on Christmas. 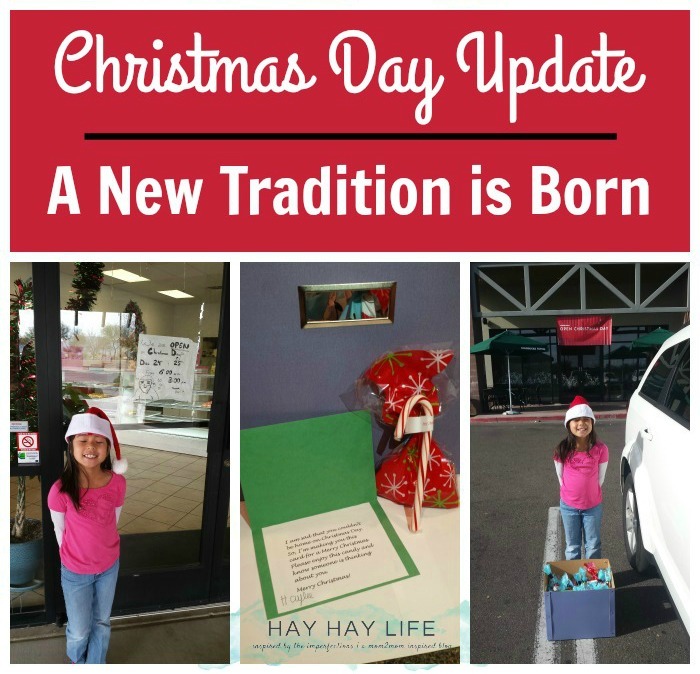 So after breakfast, she headed out to hand out Christmas cards and candy bags. It was amazing to see how the customers were so touched by this one act. Skip to My Lou came up with a simple craft inspired by her daughter’s idea to give coloring book and crayons to the hospital. 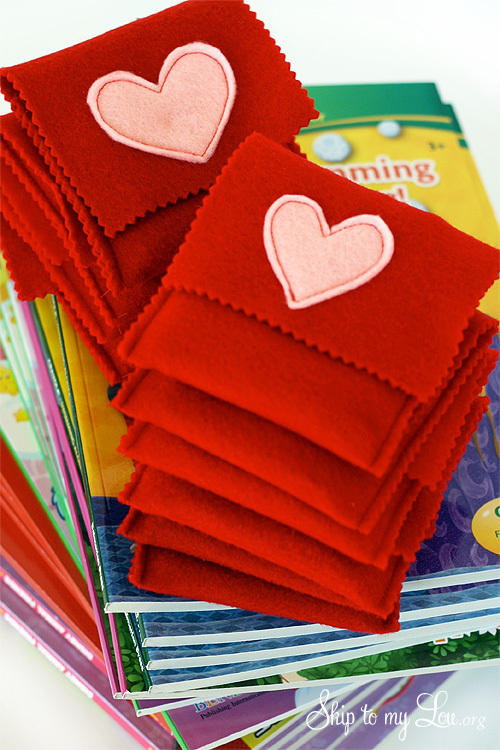 These cute crayon pouches add the perfect touch! The holidays are a great time to talk with your children about paying it forward and random acts of kindness. Center the discussion around giving without expecting anything in return. 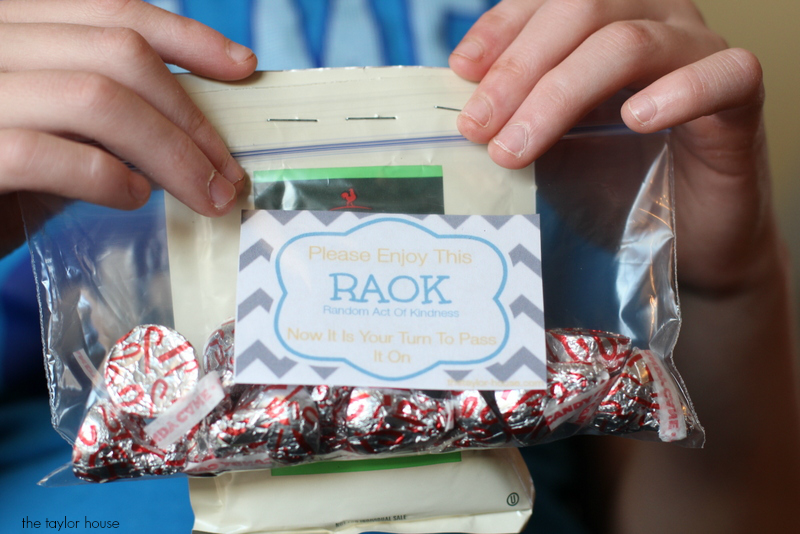 This random act of kindness free printable pictured below can be found on The Taylor House blog. Can you believe that such small acts of kindness may restore someone’s faith in humanity? That is definitely something to think about. 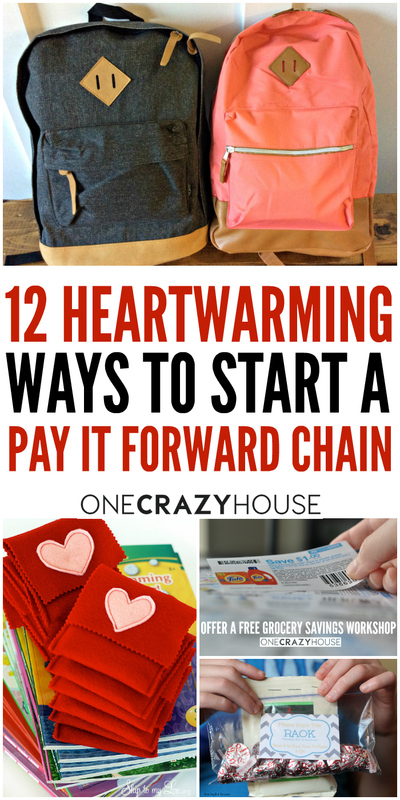 With so many ways to start a pay it forward chain, it’s really hard to pick just one. Make this a family project so each of you can take turns creating new ideas.. But don’t forget the most important thing, have fun together. This should be a fun and exciting journey for all of you! We’d love to hear your own pay it forward ideas, please share them in the comments.